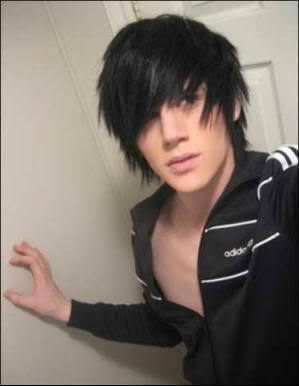 Since the 1980’s, the emo hairstyle for men has seen a drastic evolution in the way it had earlier been perceived. In the beginning, it was all about punk fast forward to 2019, this hairstyle is another trend, nothing to do with depression or indifference as it was associated with before. What does it have to do with you? If you are reading this article it means we have your attention that is curious about the emo look. Well, all we can say is your hairstyle defines your personality and just in case if you want to grow your emo hair, take our emo cut tips from here and also, don’t forget to have a look at the 10 different looks you can attain with your emo cut. How to Grow Emo Hair? And once your hair has grown long enough, ideally, a fringe up to the nostrils; straighten it. But hey, keep in mind, it will probably take about a year to completely grow out the hair so that it takes on the Emo style. You have to take special care of straightening if your hair is wavy or curly. You can do it at home with a straightener or go to the stylist and have him do it for you. If you want to do it at home, make sure you start straightening along the sides, don’t forget to comb along the downward direction as you are straightening it. And remember that frequent trips to the salon for thinning and guiding the fringe may become necessary. 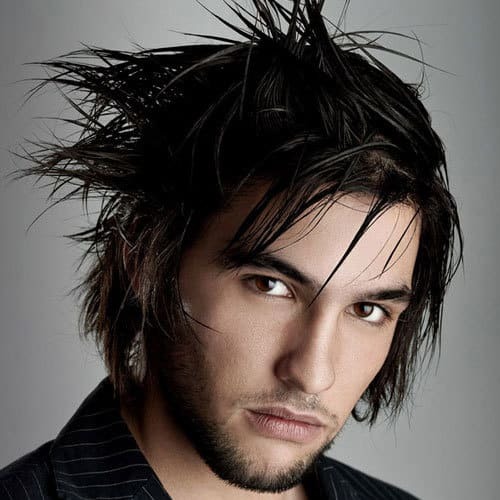 A common emo hairstyle refers to the deep side part, keeping the hair of one side combed to the other side. Some guys like to get a layered haircut and some other try to get the charm of different colors while having the emo haircut. All three are described below. At first, make a plan which type of emo hair you want. If you want to get all your hairs driven to any sideways, use a good quality comb. Apply hair gel and make the hair soft and smooth. Then place the hair as per your wish using the force of a comb. If you want to cut the hair into layered steps, then you need good hair scissors and at least two mirrors. Choose the sections of the hair which you want to cut. Then carefully cut the hairs at a slight angle to keep the desired length. Make sure you are not cutting a whole bunch of hair at a time. If you do so, you have to wait another few months to get it long. Finally, if you want to get colorful emo hair be very careful to choose the high-quality hair color. a bad product will ruin your hair completely. Some guys want to color the hair partially. Well! It’s your choice. Color as much hair you want with any color you like. Who Are Generally Termed As Emo Boys? Most of the emo boys are generally shy boys who are far more introvert than extrovert, but you might find this hard to believe taking into consideration their outward appearance. They never pretend to be tough, wear a piercing or two on their face, generally in the lip, and have a good sense of style. Traditionally they have racing hearts and no fear of showing how they feel about the world. If they are sad they say so, would not be caught dead in the gym, and are generally very artistic. The thinner and taller an Emo guy is, the better the girls like him! Emo embraces individuality and rejects and mainstream trends. It is a daring look, and to carry it off comfortably with confidence you have to be daring. The complete Emo picture is created by dressing the part. The boys will generally wear tight jeans, black jeans, t-shirts with the name of rock bands emblazoned on them, vintage clothing, loads of armbands, studded belts and beanies. Before doing anything silly, get enlightened on the knowledge of true emo hairstyle. Follow the ‘how to do’ steps carefully to get the best versions of emo hairstyles. Once T]the hair is done, style it to a side part or however you want. Do check out the different emo hairstyles below that you can take any day soon. Emo and professional? Seems like a paradox but yes, you can take the formal look by neatly sweeping your emo in a casual manner. Quite a balance. How about adding a little bit of red to your emo haircut? Always in classic emo style. This one is a common favorite as a part of the hair is neatly swept to the side to create quite a look. This one is a little more dramatic one. Combining Gothic and rock, spike the hair on the top and allow straight fringes and bangs to fall on your face. To get this look, casually straighten the hair and comb it finely at the back. And then allow the hair on the top to completely fall on your face like one big united bundle. The trend is changing so fast. Once people wanted to keep the hair black as long as possible, now they color it with gray. One can have his emo hair done with this eye-catchy gray color. Very often, emo hairstyles are associated with piercing and studs. You can try some studs if you want to get the best impact of emo hairstyles. Because studs will make the spirit of the emo community more strong. One can use more than one color to decorate his emo hair. You can try all the colors of the rainbow if you want. But, make sure that you are not losing the aesthetic beauty of a hairstyle. Anyone will fall in love with this hairstyle at the first sight. The texture and the cutting look so beautiful that people will inspire you to get more emo haircut. 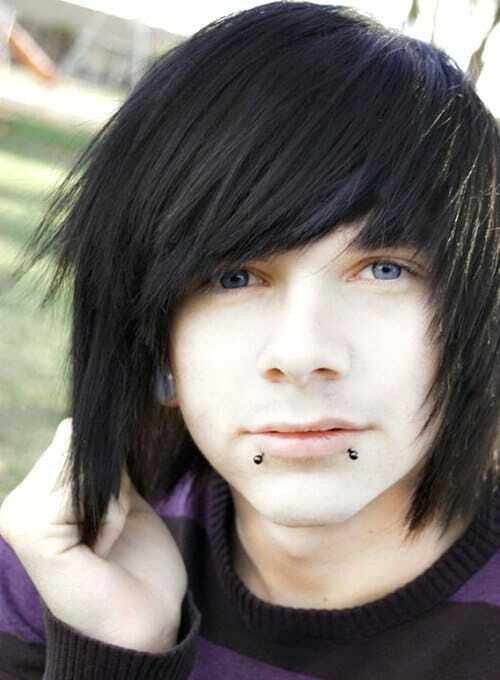 This is an eye-soothing emo haircut, whereas most of the emo hairstyles tend to more intense to the eyes. The movement’s version of a mohawk is one of the strangest yet most compelling emo hairstyles for teen guys I’ve ever seen. It’s weird, but I kind of get it. Some emo dudes opt for a double mohawk, while others leave their sideburns in place. Always have your hair in your eyes. It hides your inner poet and the secret wounded warrior who dwells inside of you. Or something like that. It’s cute, that’s what matters, particularly if you go for an updated take on the ’00s emo coif. Emo hair must be in your face. If you aren’t constantly flipping your bangs out of your face, are you even emo? I think not. Anyway, all you have to do is comb all your hair forward. It just helps to have wispy hair and choppy layers. 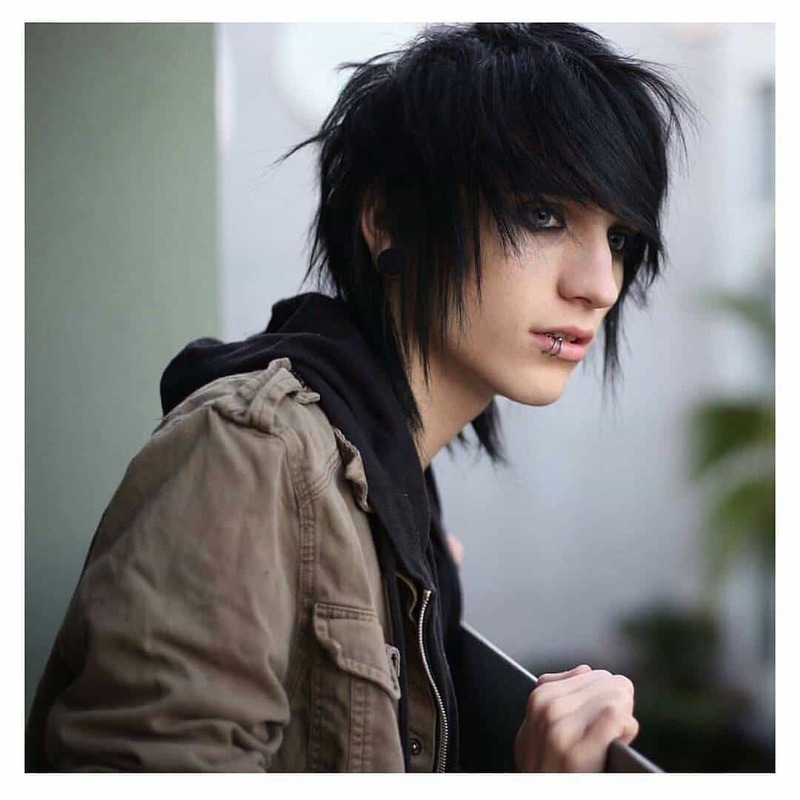 Most emo hairstyles for teen boys will have some semblance of bangs. It’s still the done thing to add streaks of color that frame your face. I can’t say I hate it. Who says boys can’t wear bobs? 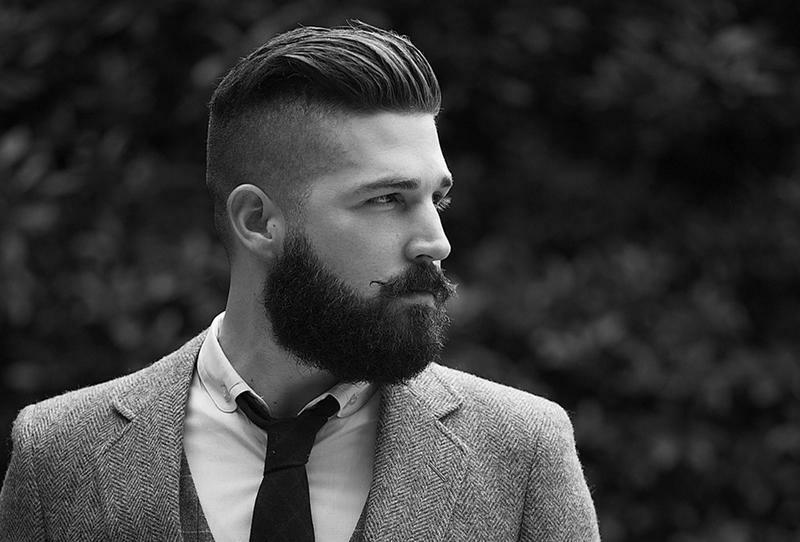 Just opt for longer layers as you let your hair grow. You can still keep the signature emo fringe, but the layers around it won’t blend in as much. Shorter layers characterize today’s emo aesthetic. You still feather your hair forward, but there’s not quite so much of it. Kind of hot, honestly. 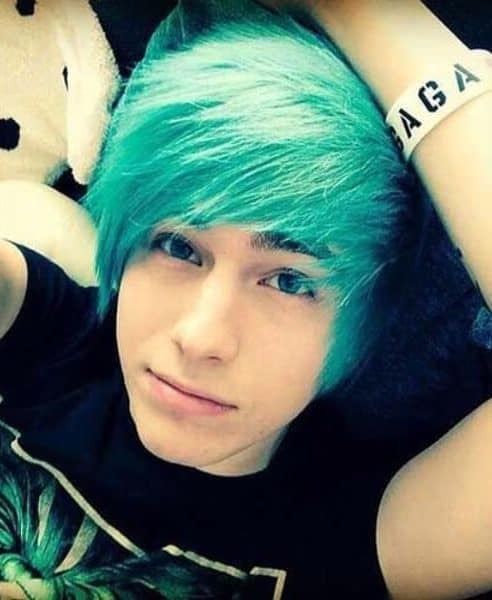 Feathering is an essential aspect of emo hairstyles for teen guys. Your hair has to feather around your face. There are even a few upward tousles and spikes here, plus several streaks of vibrant color. It’s a three-in-one cut. Even now, some emo teen-o boys tend to do this thing where they sweep their bangs to the side and spike some of their back layers. Kate Gosselin has that haircut. I had that haircut. Irate mothers from all over the world are running their fingers through that hair right now, right before they ask to talk to the manager. There are moments when emo gets a little harder—moments when it becomes screamo, even. In those moments, spikes sprout toward the sky, and the distant expression might be replaced with a lackadaisical snarl. Safety tip: stay away from open flames with this particular ‘do. I don’t know if it’s intentional or not, but quite a few emo hairstyles for guys turn into mullets. Maybe it’s all that layering. Regardless, if you really want long hair but also need to maintain your emo fringe, then something like this should tick all of your boxes. Maintaining the emo hair is no joke. You will need to frequently straighten your hair, blow dry it and also visit the barber frequently for trimming, guiding and overall maintenance of your hair. Also, you will need to use hair styling products like hair gels to keep the hair in place. And trust us, if you achieve the true emo look, the effort is totally worth it. How can I sweep my hair across my forehead/eyebrows? Well! The best way to guide ones’ hair in a definite direction is to train it by regular combing. Comb the hair to the sideways where you want to lead the hair after applying hair gel. Can I have an emo haircut on curly and thick hair? Yes! But before doing that you have to straighten the hair. An emo haircut is not suitable for curly hair. After the straightening, you can try any style you want and thick hair is always a plus point. I have short hair touching my shoulder. What should I do? Use the resources you have. Part your hair to any side and add some color to get a bold and expressive emo haircut. My parents don’t like emo haircuts. How can I get an emo haircut without bothering them? First, try to know what your parents don’t like about them. Then get an emo haircut compromising that specific feature of emo people which your parents dislike. Convince them that it’s just a hairstyle. Whatever hairstyle one is having, he must take proper care of it to get the best look out of it. Emo hairstyle is no exception. Besides, emo haircut involves a great deal of hair products application. So, one must be careful to take good care of his hair while having emo hairstyles. The guy in the top photo got really nice hair!! Whats his name? what good does combing the hair towards your eye ment to do? I don't know what my hair dresser did, but she f'ed up my hair when I went about 4 months ago. My fridge was cut very short, I almost cried lol. But now it is starting to grow back, all my hair seems to do is form a curve at the front – Like it grows forward, then in a c shape back towards me. Why is it doing this? If i straighten it, It looks stupid and just goes horizontal off my head and my fridge disappears… I don't think its long enough yet or has enough weight to it to do anything with. My hair is naturally extremely curly, wavy, and thick. I know i can thin it out so that takes care of the thickness. But, the curly and wavy part is hard to get rid of. When i straighten it, it just frizzes out and looks awful. What can i do about that? wet or dampen your hair then straighten it. works for me. how got short-medium hair can style it in anyway to make it look emo? And It pisses me off someone plz help me cuz this…. all i want is emo hair. but i have long hair at the top and short all around the sides. (Not my choice). Now i have to make the top shorter and wait for the sides to grow, and i got very bad patience. but it will totally be worth it.